Q. Why is Clinically Severe Obesity Treated with Surgery? A. Clinically severe obesity carries with it serious health dangers, including an increased risk of heart disease, diabetes, hypertension, and even death. Since dietary and medical treatments have been largely ineffective in treating clinically severe obesity, the medical profession has turned to surgery as a low risk, more effective treatment. Q. Who is a Candidate for Bariatric Surgery? A. A patient with a Body Mass Index (BMI) of 40 or more (at least 100 pounds over ideal weight). Click on this Body Mass Index link to determine your BMI. BMIs between 35 and 40 may also be considered if accompanied by a high-risk comorbid condition such as life-threatening cardiopulmonary problems (i.e., severe sleep apnea, Pickwickian syndrome, and obesity-related cardiomyopathy) or severe diabetes mellitus. A patient with a BMI of 35-40 who also has obesity-induced physical problems that interfere with lifestyle may also be considered (i.e., obesity prohibits a person from being treated for a joint disease, or body size problems preclude or severely interfere with ones employment, family function and/or ability to walk). A candidate for bariatric surgery at Ellis Hospital is required to meet one of the BMI criteria discussed above and have a letter of medical necessity from his/her primary care physician. Please review the required steps for weight loss surgery candidates provided on this site. Q. How Does Bariatric Surgery Work? A. In order to understand how bariatric surgery works, it is important to understand how the body's gastrointestinal tract works. After you swallow food it enters the stomach, which acts as a holding tank for food. From the stomach, small amounts of food are released into the digestive tract. Bile from the liver and enzymes from the pancreas enter the duodenum (first part of the small bowel) and aid in the digestion and absorption of the food. Most absorption of food takes place in the duodenum. Reducing the volume of the stomach by removing or bypassing a portion of the stomach. This means that the stomach can only hold a limited amount of food before a person feels full. Directing bile and pancreatic enzymes away from the food, so that digestion and absorption of food is delayed - takes place further down in the jejunum (small bowel). Q. 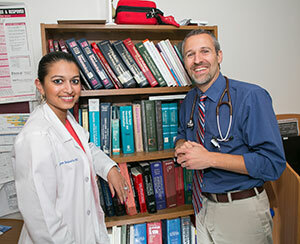 What are the Different Kinds of Bariatric Procedures? Roux-en-Y Gastric Bypass - this is the most frequently performed bariatric procedure, and is considered to be the gold standard in weight loss surgery. The Roux-en-Y surgery closes off most of the stomach, through stapling, to decrease the amount of food a patient can eat, and also rearranges the small intestine to reduce the amount of calories that a patient's body can absorb. Adjustable Gastric Banding - this is a laparoscopic procedure in which the surgeon places an adjustable elastic band around the upper section of the stomach to create a small pouch that restricts food passage. Q. How is Laparoscopic Bariatric Surgery Different from Open Surgery? A. Both open and laparoscopic procedures follow the same principles, and both result in similar excess weight loss in patients. Open bariatric surgery is performed through one incision that is made from just below the patient's breastbone to above the navel. During laparoscopic surgery, small incisions are made to a patient's abdomen and the surgeon performs the operation with the aid of a small video camera that is attached to a laparoscope and inserted into one of the incisions. The surgeon views the video images taken from inside the body on a TV monitor, and performs the procedure accordingly. Gas is used to expand the abdomen during surgery. Laparoscopic surgery generally takes less time to perform than open surgery and patients’ recovery times are shorter than with open surgery. Q. How Much Weight Do Most Patients Lose? A. Weight loss depends on many factors, including, but not limited to, a patients starting weight, age, body metabolism, ability to exercise and type of operation. The average weight loss for a bariatric patient is approximately one third of his/her starting weight. Typical and satisfactory weight loss with the laparoscopic adjustable band is 1-2 pounds per week, where as the gastric bypass may result in the weight loss of 15-20 pounds per month, with this amount becoming less over time. Eighty to ninety percent of patients keep the weight off in the first two years following surgery, and 50% of patients keep the weight off over a five year period. Q. What Kind of Diet Do You Follow After Surgery? A. After surgery, your pouch will only hold one to two ounces of food, so you will need to have a healthy diet and consume a variety of foods in order to get the vitamins and minerals you need. To help prevent deficiencies, your doctor will prescribe a multivitamin, protein powder and a calcium supplement. In addition, other supplements may be prescribed. The post-surgery diet progresses from clear liquids, taken immediately after surgery, to soft foods, which include meats fruits, vegetables and some grains. Q. What Happens to All of the Excess Skin? A. Exercise can help address the issue of excess skin following bariatric surgery, but depending on how overweight a patient is, exercise alone may not be sufficient. Reconstructive surgery is an option for reducing the amount of excess skin; however, it should only be considered at least one year after surgery when the patients weight has stabilized. 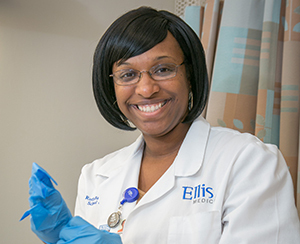 Reconstructive surgery is offered at Ellis Hospital. Talk with your doctor about whether this option is right for you. He/she can refer you to a plastic surgeon. Q. What are the Benefits Associated with Bariatric Surgery? When these serious health conditions are improved or resolved, research has shown that weight loss following bariatric surgery contributes to a longer life. Q. What are The Risks Associated with Bariatric Surgery? A. As with any operation, there are risks and side-effects associated with bariatric surgery. Potential complications include bleeding, blood clots and breathing problems, and side-effects include increased risk of developing anemia and bone disease, such as osteoporosis. The risk of death associated with bariatric surgery is low - less than .5%. Q. 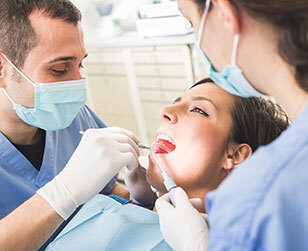 Will My Insurance Company Cover the Cost of this Procedure? A. Since the government now considers obesity to be a disease, most insurance carriers, including Medicare, will cover bariatric procedures as long as the patient is eligible. Please note that you are required to get approvals from your individual insurance plan throughout the bariatric surgery process. For managed care and HMO patients, please remember to get referrals when necessary from your primary care physician. If your insurance does not cover these procedures, you may discuss other options by calling our office at 518.243.1313.